At the end of July, Ms Christine Zhang (CZ), Stoll's China Marketing Manager, and Mr Hector Sun, head of Chemtax East China regional sales, visited Changshu Zheng Xing Yuan Knitting Garment Co., Ltd. in Jiangsu Province in China and interviewed company head Mr. Wang Dong (WD). CZ: How long have you been in the knitting industry? When did you start to use Stoll’s flat knitting machinery? WD: I started using Stoll computerized flat knitting machines in July 2004 and, after that, I formally entered the knitting industry. It was a coincidence that I had no background in the textile industry before I began to learn programming and knitting technologies at Chemtax. CZ: According to your own knitting products, what specific type of Stoll machine did you choose? What are the advantages of this model? WD: Our main machine type is CMS 803 HP knit & wear because our products are divided into two categories: one being blanket products while the other being knit & wear products. The CMS 803 HP knit & wear has a working width of 84 inches, and its gauge covers from E 3,5.2 to E 7.2. These specifications fully meet the requirements of our own products. CZ: Unlike other investors, I’ve heard that you have a strong technical knitting background. What do you think of Stoll's investment in pattern development and online patternshop pertaining to Stoll collection pieces? WD: Stoll's German collection is very ahead of the market in terms of knitted commercial products, whether from style design or the application of patterns that are very forward-looking. The regular launch and release of the German collection is very inspiring for the designers. CZ: As you are one of the earlier investors interested in Stoll’s knit & wear machine, can you give us a brief introduction of the advantages of Stoll’s knit & wear machine in regards to the production of your own knitted products? WD: Regarding Stoll's knit & wear machines, the main advantage is that its products do not require a linking process, which saves on labour costs. Nowadays, many knitting factories are faced with the following problems: it is difficult to recruit and employ workers, it is difficult to recruit skilled linking workers, and the labour cost of the linking process is high. CZ: We know that you are also involved in the development of some knitted technical textiles. How do you see the future of this segment for your company and, in general, for the market? WD: As far as knitted technical textiles, they belong to a niche market, that is, the gap market, which requires a high degree of specialization and has great potential for development. The knitting enterprises that can participate in this market generally have the characteristics of innovation and dedication. CZ: I’ve heard that you have visited Stoll’s headquarters in Germany. What’s your impression of it? Does it further strengthen your confidence in “Made in Germany"? WD: Yes, I had the privilege of visiting Stoll’s headquarters in Reutlingen early this year. I was able to exchange opinions and suggestions with the relevant staff in the product development department. I have to say that Stoll has always paid attention to customers’ experiences and needs, and the company strives to better serve customers in all aspects. CZ: According to your own experience, please predict the development trend of China's knitting industry. And what is the expectation for Stoll's services in the Chinese market? 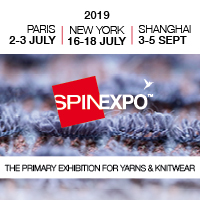 WD: With the continuous enrichment and upgrading of Knit & Wear products, Knit & Wear is undoubtedly a highlight in the future development of the knitting industry. To a large extent, it can break through the bottleneck of the development of enterprises on the linking process. In the future, with the weakening and replacing of the linking process, opening knitting factories in Southeast Asia will no longer be the only choice for knitting enterprises. The high stability of flat knitting machinery is the best experience I have with the Stoll brand. H. Stoll AG & Co. KG, with headquarters in Reutlingen (Baden‐Württemberg, Germany) is one of the world’s leading manufacturers of flat knitting machines. The long‐established company was founded in 1873 and has 1000 employees around the world. The Stoll brand portfolio includes flat knitting machines and pattern software that are used to produce fashion and technical textiles. Stoll exports its products to more than 50 countries worldwide. With a network of subsidiaries, sales and service centres and numerous agencies, Stoll offers a fully integrated service package. With innovative developments and state‐of‐the‐art production, Stoll is making a multitude of knitting trends possible. Impressive examples of this are illustrated in the current Stoll Trend Collection.